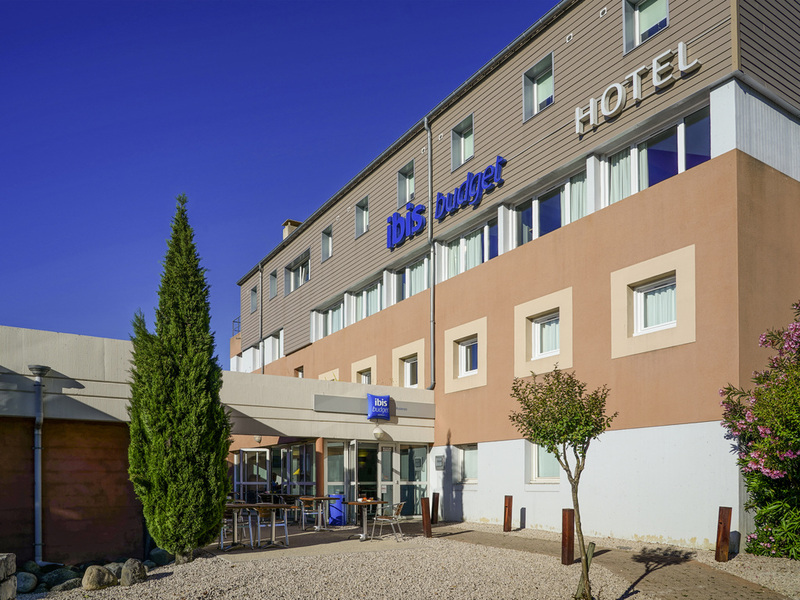 The entire team at the ibis budget Aubenas hotel welcomes you to southern Ardèche. Discover the Ardèche gorges by canoe, visit the famous Pont d'Arc Cavern and enjoy sunshine, hiking and rivers; a fantastic experience awaits! Located in southern Ardèche, 16.8 miles from Vallon Pont d'Arc where the famous Chauvet Cave is located along with its replica, the Caverne du Pont d'Arc. The hotel is 0.9 miles from the Aubenas historic old town of Aubenas and its castle. 9.3 miles from Antraigues, Jean Ferrat's famous town and 4.3 miles from the Vals les Bains spa town. Beaches and river with canoes 5.6 miles. 62 rooms with A/C, free WIFI, access to the private ibis hotel pool, nearby restaurant, free car park. The smart choice. To be avoided if you want some comfort. It is budget. Go here only if you want a bed for one night. Do not book breakfast. The room for breakfast is small, very small compared to the number of rooms. One block ahead there is a good bakery with fresh coffee. Take there something with you for the road ahead. I’ve been charged for the days I asked for it to be canceled. Originally booked the room for one night but eventually stayed for 3 nights. Can’t complain about anything as we had a really pleasant stay. We booked night by night and the receptionist altered things so we could keep the same room. The Ibis opposite has an heated swimming pool with sun beds and we had free access - very nice. Easy to find. Good, quick reception. Only minus point was the difficulty in parking, and no secure parking for Ibis Budget guests. The room was clean and comfortable. The staff were friendly and helpful. Good but not easy to find the place. Breakfast can be better. For several nights, the quality of the bed is not good enough. The towels could be bigger for a shower. It would be pleasant to have the &quot;wash-basin&quot; in the bathroom (cfr. B&B Hotels) Not enough place in the breakfast room when the hotel is fully booked. Staff very pleasant and helpful. Room nice and quiet. Very clean. Bed very roomy and comfortable.